I think it is probably time for me to step down. It has been 10+ years of involvement with the ENA Land Use committee and quite a few as chair. During that time we have gone from a bust-to-boom economy and that means a bunch of new buildings in the works. While many under-constructions projects are about to start renting out units, another cluster of buildings on the North Williams corridor is in the works with 4 new proposals adjacent to Williams and Cook alone. Portland’s new zoning map will be going into effect any day now and that might mean another flurry of proposals under the new rules, or a gentle slowdown in the incoming permits. 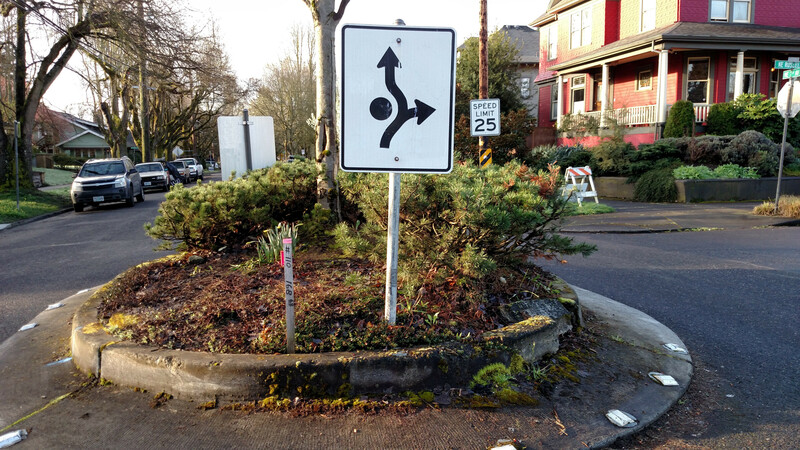 On the Transportation side of things, Portland’s Bureau of Transportation is proposing upgrading the Tillamook bicycle route by turning some stop signs east of us and putting a bit of TLC into the Eliot side of things, but the real action will hopefully be on NE 7th Avenue. This local street is in desperate need of some traffic calming as traffic volumes are more than 5 times what a local street is supposed to carry. We are expecting some signal improvements along MLK to accommodate some additional cars although it will be important that we push for the wait times to cross the street to not be impacted significantly. Another thing making headlines is a proposal to bring a Major League Baseball team to NW Portland or Eliot near the Broadway Bridge. The rumors that have been spread so far is that this could come with a potentially neighborhood-changing 8,000 apartments, although I am guessing this number is higher than would possibly happen. If this did happen, however, it would bring a life and vibrancy to the Rose Quarter/Broadway Bridgehead area that I have never witnessed in my 12 years in Portland. Without more details, it seems hard to imagine the possibilities but if done right, this could be a huge asset for Inner Northeast Portland. Planning-wise, the other major thing that is going on is that Portland is considering, after many years of debate, is called the Residential Infill Program. The proposal was originally supposed to allowing slightly more density in ‘single family’ zoned areas, although this seems to have been watered down substantially by anti-development folks who somehow have a lot of time to go to daytime meetings and write letter after letter to city staff. I had really hoped that this project would accomplish its goals of allowing more even development all over Portland and provide an outlet for some of the pressure to develop only along major corridors. I am a bit wary of the current plan just adding more regulations without substantially increasing incentives to increase the housing supply.